IH Number: You will need 16" Wheels. Some 15 inch wheels will work. 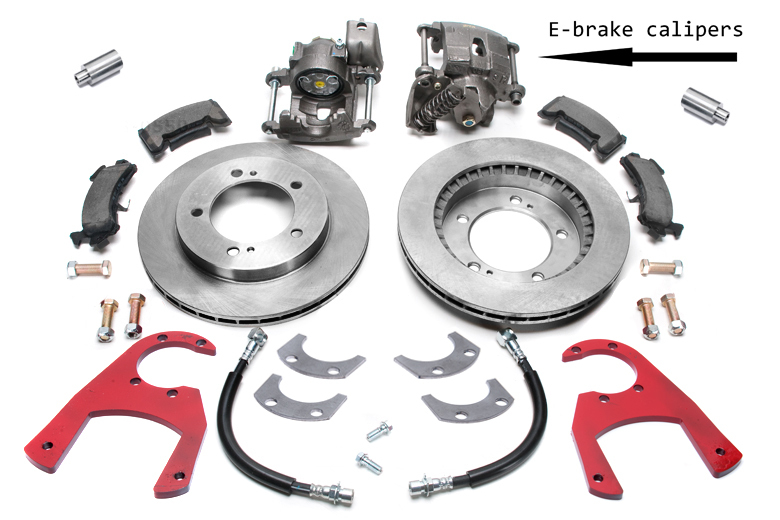 This kit should be installed by a trained brake professional. This kit is for Scout 80 with dana 27 axles only. You will need 16 inch wheels to provide clearance for the brake calipers. Some Scouts had 14 inch rims. Check yours before you order. The adapter for the E brakes is included in the kit.